Thank you for your support during this difficult time. Please enhance this tribute to Rita by adding your memories. Rita A. (Maher) Stanley, of Melrose, died at the Sawtelle Family Hospice House in Reading on Jan. 1, 2018 at the age of 86. Rita was born & raised in Wakefield and a graduate of Wakefield High School, Class of 1949. She resided in Wakefield until 1954 and the past 63 years in Melrose. 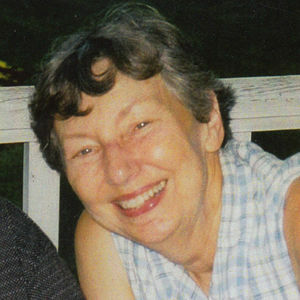 Rita was a homemaker who loved quilting, sewing, cooking and baking. She enjoyed golfing and taking trips to Myrtle Beach, SC and Florida. Rita's home & family were the most important part of her life. She was the beloved wife of the late John A. "Jack" Stanley for 64 years. Loving mother of Patricia Elsea & her husband James of N. Billerica, Brian Stanley & his wife Yong of Las Vegas, Elaine Stanley, Diane Emery & her husband Chip, all of Melrose, Laura Paquette & her husband Scott of Billerica, Jane Stanley McGrath & her husband Chris of San Diego, CA and Andrew Stanley & his husband Richard Whale of London, England. Cherished grandmother Kyle, Matthew, Devon, Ryan, Madeleine, Anne and Shea. Great grandmother of Ella & Harriet. Caring sister of 13 siblings. Also survived by nieces, nephews, relatives & friends. Visitation will be held at the Gately Funeral Home, 79 W. Foster St., Melrose on Friday, Jan. 5th from 4-7PM. Relatives & friends respectfully invited to attend. Funeral Services will be private. In lieu of flowers, contributions may be made in Rita's name to the Mass. General North Shore Cancer Center, 102 Endicott St., Danvers, MA 01923 or 978-882-6060, Attn: Heidi Turner.. Please accept our condolences on the loss of your Mother, Rita. May she Rest In Peace. Sending my sincere condolences on the loss of your beloved mother. She was such a lovely woman. I have many fond recollections of all the fun times spent with you on Poplar Street, your parents were always so welcoming. Take solace in the fact they are now reunited. May all your wonderful memories help you through this difficult time. My deepest condolences for your loss. Thinking of you. I am very sorry for the loss of your mom. She was a great mother! She was such a wonderful Aunt and she was always so nice. I always looked forward to going to your house to see her. I can remember playing with the doll clothes that she made for your dolls. She and your dad were such lovely people. My deepest sympathy to you and your families. Please accept my deepest condolences. I am so sorry for your loss. It's clear to see from your mom's photo and her obituary that she is was a beautiful lady inside and out, who was very much loved. Fortunately she continues to live on through her beautiful daughter. I am very saddened to hear about the death of your beloved Mom. Life Stories provides friends and families a forum to post their favorite stories and memories of Rita A. (Maher) Stanley ensuring the precious experiences are never forgotten. Share joyful times, post a photo that captures the moments you cherish, and allow others to reply, relive and remember.